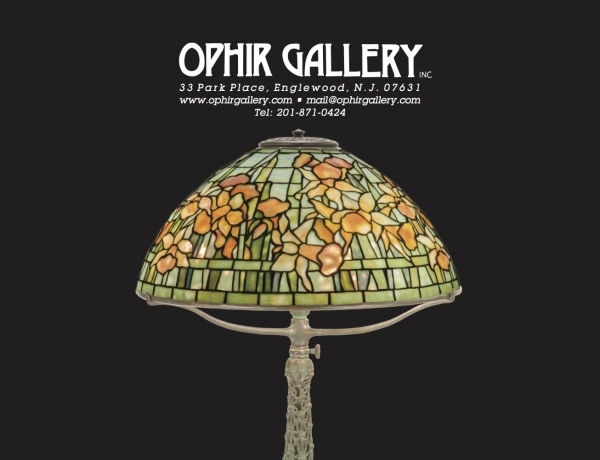 When you hear the words “Tiffany” and “glass,” you may immediately think of leaded glass windows or luminous lamps, but artist Louis C. Tiffany expressed his passion for color and glass most innovatively in the technique of mosaic. 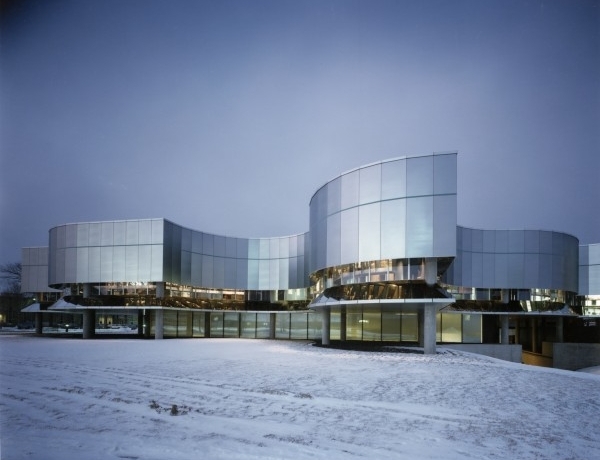 From monumental architectural installations to inkwells for desktops, Tiffany’s Glass Mosaics will be the first museum exhibition focused exclusively on this aspect of Tiffany’s extraordinary artistic career. 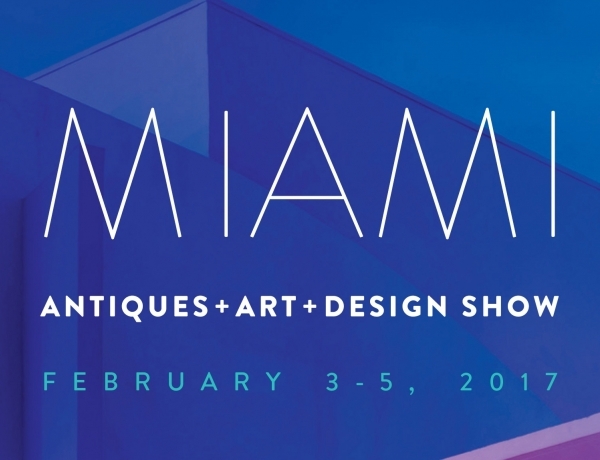 Ophir Gallery Inc. is pleased to invite you to the The Original Miami Antiques Show which will take place in its new location due to ongoing renevations of the Miami Beach Convention Center . 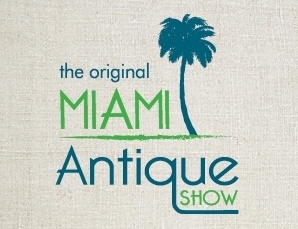 The show will run from Friday, February 10th, through Monday, February 13th, at the Miami Fair Expo Center - 10901 SW 24th St - Miami, FL 33165. 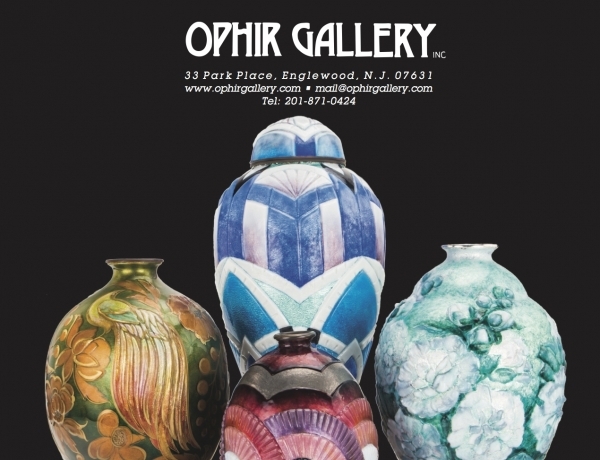 On display will be a fresh selection of Objects by, Tiffany Studios, 20th Century American and European Decorative Arts, as well as Mid-Century Modern and Studio Design. 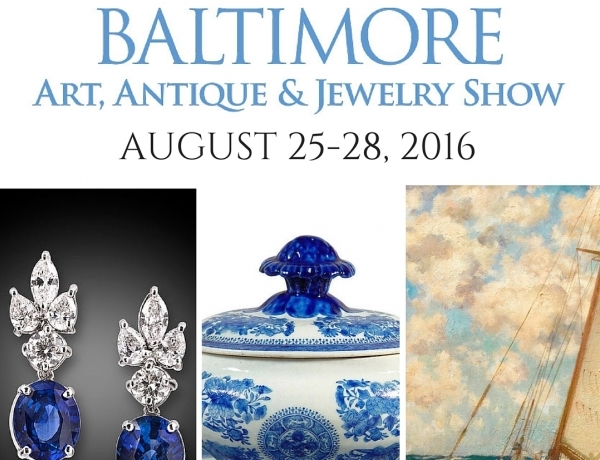 The Original Miami Beach Antique Show will be held at the Miami-Dade County Fair Expo Center in 2017. 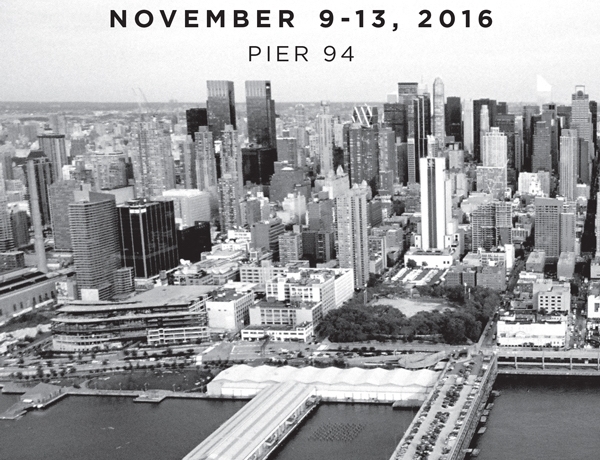 The show’s dates will be February 10-13, 2017. 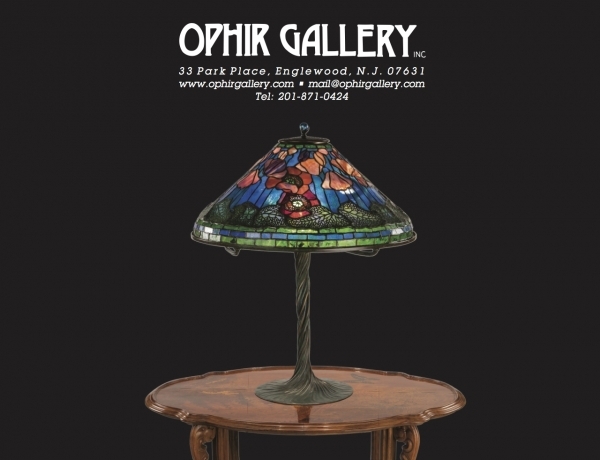 On display at booth #801 will be a fresh selection of Objects by, Tiffany Studios, 20th Century American and European Decorative Arts, as well as Mid-Century Modern and Studio Design. 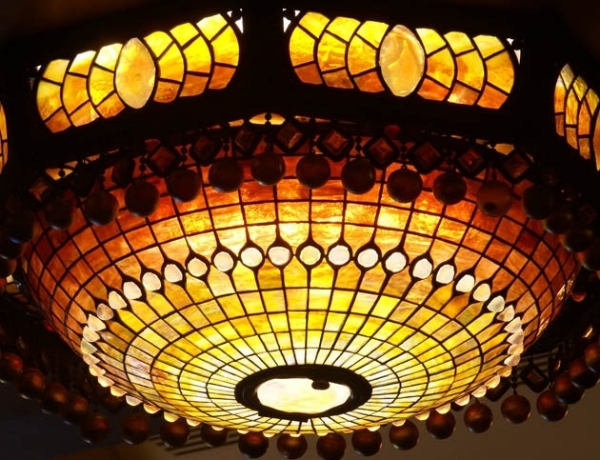 An Important and Rare leaded stained glass chandelier by, Tiffany Studios has resurfaced from a 1976 Burglary of the famous Belasco Theatre in New York City. The chandelier had been consigned to a Midtown Antique Store for sale when it was put together that this was one of five chandeliers that had been stolen. 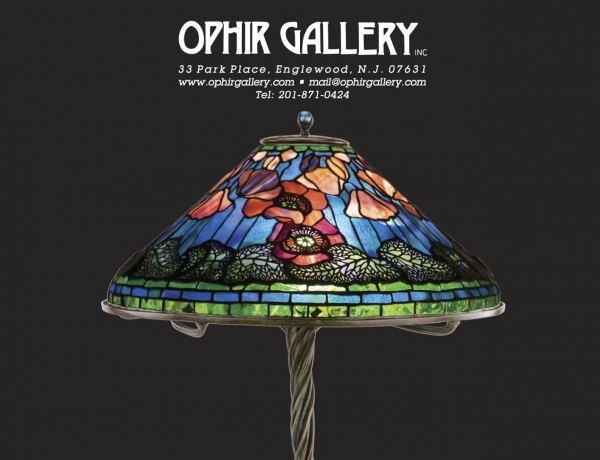 On display in our booth will be a fresh selection of Objects by, Tiffany Studios, 19th and 20th century American and European Decorative Arts, as well as Mid-Century Modern and Studio Design. 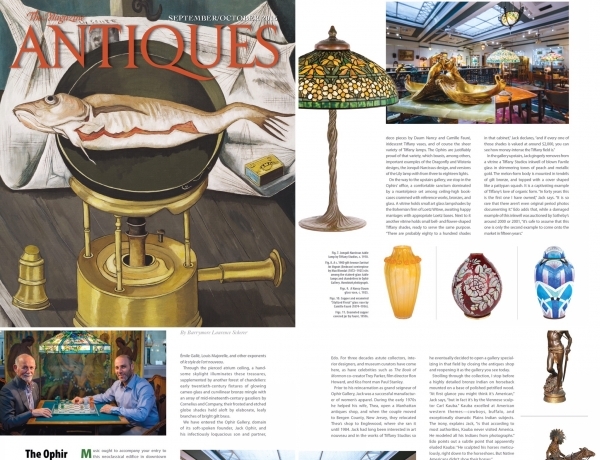 A Passion for Tiffany Lamps highlights the extraordinary scope of the Neustadts’ collection. 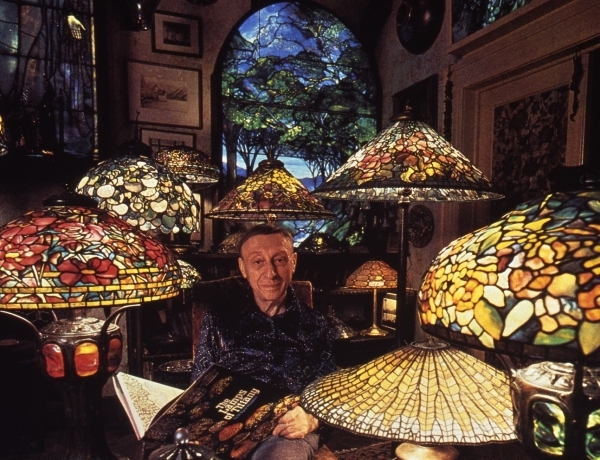 Examples of Tiffany’s most iconic lamps – the Wisteria and Dragonfly – will be on view, along with unusual lamps produced in limited number, such as the Pond Lily globe and Peacock hanging shade. 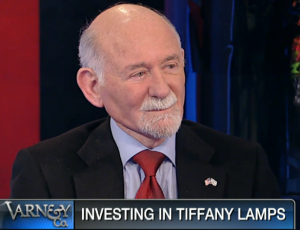 President and Founding Father of Ophir Gallery Inc. is interviewed by, FOX Business News, Stuart Varney of Varney & Co. about investing in lamps.